This Yiddish Broadway hit musical returns in a stellar newly adapted modern production loaded with acrobatic thrills, action and laughter, fancies of delight for all ages rolled up in a compelling story you may know, but have never experienced like this! Told through cutting-edge performances THE MEGILE OF ITZIK MANGER is a spectacular musical epic based on Manger's radical retelling of The Book of Esther. 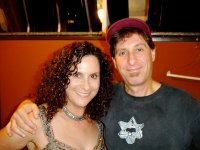 Israel's beloved recording star Mika Karni and her newest band/project Kol Dodi have a busy Spring in the United States, with appearances at the Boston Jewish Music Festival, South By Southwest, the Upper West Side, Palm Beach, Miami, Washington DC and the International Music Festival in Lafayette, Louisiana. With over 10 million YouTube views and numerous television appearances, the Maccabeats aren't your average college a cappella group. David joins the Kronos Quartet at Carnegie Hall's Zankel Hall as part of Late Nights at Zankel Hall. He'll be featured on the New York premiere of Aleksandra Vrebalov's Babylon, Our Own. Also included on the program will be the world premiere of Missy Mazzoli's You Know Me From Here, Laurie Anderson's Flow (arr. Jacob Garchik), and the New York premiere of Valentin Silvestrov's String Quartet No. 3. Vrebalov said, "Babylon, Our Own is written for the Kronos Quartet and David Krakauer, and is inspired by their passionate and masterful playing of diverse styles of music. I wrote the piece having in mind their individual characteristics as performers: Krakauer's ecstatic high register, David Harrington's uncanny responsiveness in dialogue-like sections, John Sherba's rare ability to carve the shortest phrase into a precise musical statement, Hank Dutt's most soulful solos, and Jeffrey Zeigler's powerful triple-stops and superhuman rhythmic precision. The result is a piece in which times, places, and cultures intersect to celebrate music as the language I feel most comfortable with, a language that has brought all of us together." Tickets: £9, Concessions £7. Workshop Pass Available. HOPA! Balkan Quadruple-Bill feat. She'Koyokh, Paprika, Yurodny and North Strand Kontra Band. Alas, this gig has been cancelled. A day of free concerts with games and fun for all ages! Featuring performances from children's music sensation Robbie Schaefer (of Eddie From Ohio), footstomping bluegrass fusion group Margot Leverett and the Klezmer Mountain Boys and biblical bubblegum pop duo Stereo Sinai. The Community Klezmer Initiative’s (CKI) Klezmer Jam, Dance and Open Mic Cabaret is making May magic, Sunday May 5th from 1pm-3pm at Main Line Reform Temple, 410 Montgomery Ave., Wynnewood, PA. 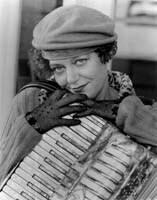 The house band is stocked with luminaries of klezmer from Dan Blacksberg to Elaine Hoffman Watts. A special treat for your feet will be dance leading with Yiddish dance specialist Sonia Gollance. Great soft pretzels, fabulous cookies and assorted treats will rev you up for this free afternoon of authentic culture created by you, your friends and your family! Bring a music stand, your instrument, your voice and your dancing shoes. Plan to make your mother proud with a performance at the Open Mic Cabaret and bring copies of a tune for the house band to accompany you. Or, just come and zetsen zich (sit yourself down), opruen zich (relax yourself) und hanoe hobn (and have a good time). 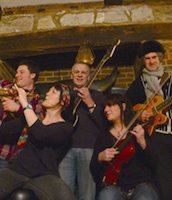 Contact Community Klezmer Initiative for more details. Nikolai "Kolya" Borodulin directs educational programs for Yiddish students of all ages at the Workmen's Circle/Arbeter Ring. He is a recognized scholar and published author in several Slavic, Germanic, and Jewish languages. He has lectured extensively and developed and taught a wide range of courses for Yiddish and Jewish programs and conferences in universities and cultural institutions throughout the U.S., Canada, and Russia. When: Sunday, May 5 - ca. 3 P.M.
Israeli composer Matti Kovler is joined by Reut Rivka (Israel/Holland ) and Anthony Mordechai-Tzvi Russell (US) for an intimate evening of original music. The evening includes selections from Kovler’s "Children’s Songs", arrangements of Yiddish songs from Sidor Belarsky’s repertoire and—a Surprise. With Ehud Ettun, double bass. Tickets: $12 / $18 at the door. Emmy winner Bebe Neuwirth narrates the little-known story of a group of Theresienstadt prisoners who bravely organize a powerful form of musical resistance. Chat up Mike and Dave—they love discussing the history, culture, and distinctiveness of Klezmer. Indian and Jewish music collide! Trumpeter Frank London of the Klezmatics joins master percussionist Deep Singh to present a new look at old traditions. (Founder of the Klezmer Conservatory Band) performs with New York City klezmer musicians, Michael Winograd, Amanda Miryem Khaye-Seigel, and Dave Levitt in live examples of his talk. Belt like Barbra! Sing along to your favorite show tunes from Jewish Broadway (aka Broadway)—everyone from Rodgers and Hammerstein and the Gershwins to Kander and Ebb, Schwartz, Sondeheim and more. Toting her state-of-the-art portable tape “mashinke,” Ruth Rubin recorded native Yiddish singers in libraries, old folks’ homes, summer camps, kitchens, and Carnegie Hall. When she died in 2000, Rubin left hundreds of reel-to-reel tapes that include thousands of folk songs about gangsters, workers, lovers, children, rabbis and street vendors. Bay Area Yiddish singer and accordionist Jeanette Lewicki spent last July at the YIVO Institute for Jewish Research in New York on a trip sponsored by the An-sky Institute for Jewish Culture. Her labor of love: transferring the Ruth Rubin archive from tape to computer. "These are the old songs, in the old style: usually unaccompanied, subtle, funny and kitsch-free,” Lewicki says. 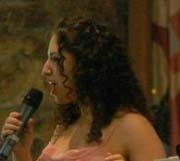 During her Jewish Community Library presentation, she will sing and translate her favorite selections from the Rubin tapes, with an emphasis on underworld songs. 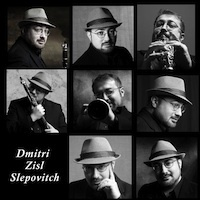 Lewicki performs with numerous klezmer groups and has led Yiddish song workshops in many venues. She performed on Ardady Gendler's CD Mayn Shtetele Soroke (and co-produced it with Donald Brody and Ellie Shapiro of the Jewish Music Festival), Fli Mayn Flishlang (for which she arranged children’s songs by Beyle Schaechter-Gottesman), Harbst (with the Klez-X), and the gonifs break out, a new release on Porto Franco Records. The Jewish Community Library provides free garage parking and is wheelchair-accessible. For more information, call (415) 567-3327, ext 703. Sponsored by the Jewish Community Library and co-presented by the 28th Jewish Music Festival, KlezCalifornia, and the Workmen’s Circle/Arbeter Ring of Northern California. Joshua Nelson was inspired to become a gospel singer after he heard an album by gospel superstar Mahalia Jackson when he was just eight years old. Israeli-born pianist Shai Wosner has attracted international recognition for his exceptional artistry, musical integrity and creative insight. With Jeri Lynne Johnson and Magdaliz Roura, and moderated by Andrea Clearfield. Just days before the Philadelphia premiere of The Yellow Ticket, featuring a live score from composer and renowned klezmer fiddler Alicia Svigals, join Alicia and other special guests as we celebrate and explore women in music through an afternoon of live performance and intimate conversation. Also featuring Jeri Lynne Johnson, Founding Music Director of the Black Pearl Chamber Orchestra, and Magdaliz Roura, Puerto Rican singer of folk and traditional music from all over Latin America and the Caribbean, as well as the founder, manager, lead singer, and guitarist of the Latin Ensemble, Trio Crisol. Moderated by Andrea Clearfield, award-winning composer and founder and host of the Philadelphia performance series, The Salon. This program is presented in collaboration with the Gershman Y's Philadelphia Jewish Music Festival and in conjunction with The Yellow Ticket screening event on May 9, 2013. Join NSM for an afternoon of musical delight. Yaeko, Ehud, and Michael will be performing Klezmer, Jewish, and other world music styles. Tickets are $38 each. Your purchased ticket(s) will be available at The Kennedy Center Box Office Will Call. Special concert featuring the Underscore Orchestra. Free with minimum $10 purchase. Be here for an unforgettable concert by Common Chords, a gathering of highly accomplished musicians from different cultures and religions, led by famed Pakistani singer/guitarist Salman Ahmad (Junoon) and world-renowned klezmer violinist Yale Strom. 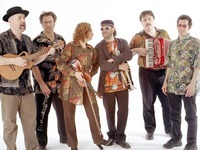 Their music combines rock, klezmer, jazz, bhangra, Indian, Sufi, and qawwali into a new and distinct hybrid, brilliantly executed by Ahmad, Strom, vocalist Elizabeth Schwartz, tabla master Samir Chatterjee, bassist Mark Dresser, dhol player Sunny Jain (Red Baraat), accordionist Lou Fanucchi, and saxophone and flute player Tripp Sprague. Presented as part of the Skirball’s new concert series, Journeys and Encounters, presenting surprising collaborations between musicians of diverse genres. Deux ans après l'album SPEAK WITH GHOSTS, Anakronic Electro Orkestra revient avec l’album NOISE IN SEPHER (ffff de Télérama) et dépoussière les vieux grimoires de la musique Yiddish. Ces enchanteurs de l'ère numérique pratiquent une alchimie toujours aussi efficace, un mysticisme à grand coup de zéros et de uns, au son d'une musique traditionnelle qu'ils rendent subversivement moderne. Au-delà d'un simple mélange, ce disque est une appropriation totale du répertoire Ashkénaze. Le hip-hop incisif mâtiné d'une chanson joyeuse (Lady Mydriasis) contraste avec cet autre morceaux de rap où quatre-vingt années de musiques et de tendances sont rassemblées dans trois minutes trente d'une efficacité jubilatoire (Noise in Sepher II feat. Taron Benson). Égaré mais heureux, on se retrouve trimballé d'une techno rageuse aux accents bulgares (Invidia) jusqu'à des montées hallucinées et planantes rappelant aussi bien le rock progressif que la musique classique (Schrödinger, Cabbalistic snare). Enfin, le new-yorkais David Krakauer, légende vivante du Klezmer et premier artisan du renouveau mondial de cette musique fait une apparition virtuose dans un battle survolté avec une drum'n'bass déchainée et un dub sombre et profond (Uruk). Tout cela retrouve la danse, la transe, la joie et la douleur des anciennes mélodies pour former un véritable langage artistique original. 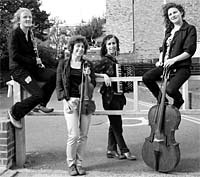 Dorénavant le Klezmer est une musique électro au même titre que la jungle, le break-beat ou le dubstep... le disque NOISE IN SEPHER en est l'ultime preuve (sortie avril 2013 sur Balagan Box / La Baleine). Der Workshop widmet sich den verschiedenen Genres der des jiddischen Liedes und den Besonderheiten des jiddischen Gesangs. In entspannter Lernatmosphäre gibt es genügend Zeit und Raum für eigene Erkundungen und Stimmspiele. charge. Students who wish to participate in the workshop need to register in advance. 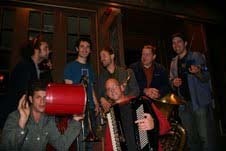 Next@19th, ArtCenter/South Florida and The Betsy-South Beach present an accordion street parade and gallery concert. Every Sunday Morning, combining live music and food in a fresh, cultural environment, City Winery’s Klezmer brunch series pairs some of the greatest musicians in the world with delicious lox, bagels and other tasty fare on Sunday mornings from 11am to 2pm. 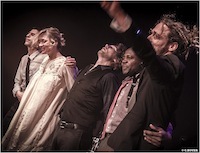 City Winery's brunch on May 19, 2013 features Cirkestra. 3301 Bainbridge Ave. @ 208th St. Admission: $3.50; Free for SACC members. Sunday, May 19, 2013, 3PM. Litvakus, a New York based klezmer band founded and led by Dmitri Zisl Slepovitch, will present a program of Litvak Jewish music, encompassing a broad range of instrumentals and songs, traditional pieces and those composed by Zisl, as well as pieces of Belarusian and Polish music that had created a nurturing environment for the local Jewish music in the North-East of Europe. Rocking out at NYC venues, "making it for irresistible dancing music" (Jewish Daily Forward), Litvakus renovates the tradition making it relevant, accessible, and attractive for the modern listener. Sunday, May 19, 2013, 6:30 p.m.
Part of the Diamond Valley Arts Council's series, 'Music at the Center', Third Sunday Music Night. Tickets are $20.00 in advance, $25.00 at the door, include wine, appetizers and admission to the current Gallery exhibit. Specific information will be posted on the website after April 20. Special concert in an intimate professional sound studio in a beautiful rustic spot just a few miles from Highway 101. E-mail Red Hot Chachkas or call 707-823-5316 for private address, directions, and reservations. Tickets $22 at the door. Doors open 7:00pm. The London-based singer/songwriter returns to The Marsh with his story-songs of Jewish life featuring feuding tailors, a cocaine-addicted rabbi, tales of Israel and Palestine, a young Jewish woman who joins a fundamentalist Christian sect in the 1950s, and the hilarious, adulterous adventures of his own parents. 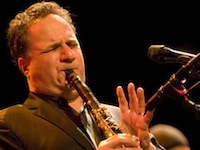 Daniel Cainer has captivated audiences in the UK, Europe and Australia. He is a regular at the Edinburgh Festival. Seth Kibel on clarinet, Helen Hausmann on violin, Scott Harlan on bass, and Tim Jarvis on drums. Octogenarian Drummer Extraordinaire Elaine Watts, (daughter of Jacob Hoffman) and her stupendously talented daughter Susan, will perform in a rare NY concert appearance, with the amazing Klez Dispensers, as part of the New York Klezmer Series at Stephen Wise Free Synagogue, 30 W. 68th St., at 7:30pm, on May 28, 2013. After the concert they will play for dancing at a Tantshoyz, with dancing led by the wonderful Steven Lee Weintraub. Susan & Elaine will lead the workshop at 5:30pm as well. Booking essential – call 0161 834 9879.